I am getting stuck on certain main missions and challenge levels..... I figure I probably need to really upgrade weapons.... maybe characters too... but I don't want to upgrade characters and the difficulty go up right away. When I have the pass tickets I can only get through about 2 to maybe 3 rounds and I have trouble which makes getting stars for guild requirements a little tough. 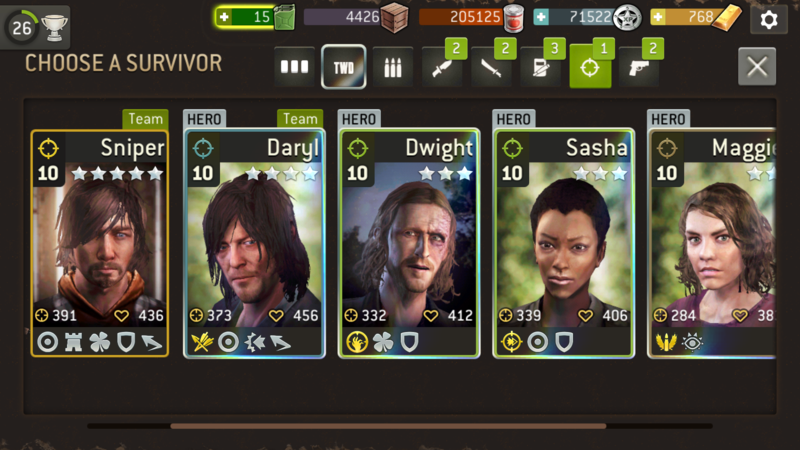 What level are your survivors? What level does the challenge get too hard? I think that's them all... dunno if I did dupes.... how do I post them direct without you having to click? 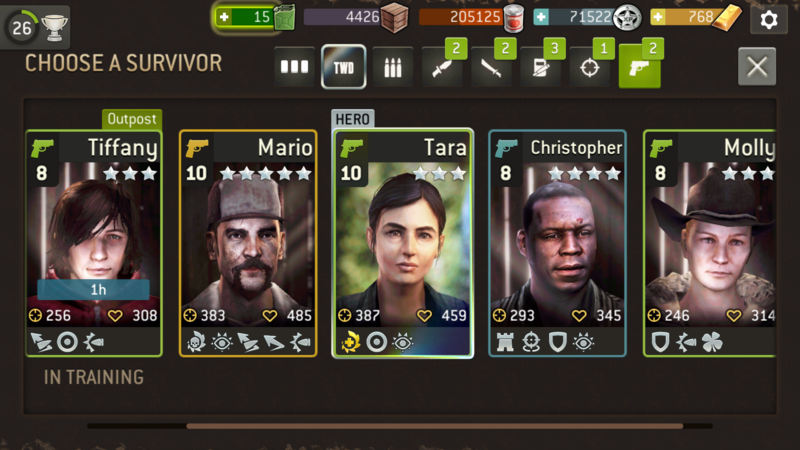 While focusing on survivors over weapons is good advice, having weapons down at level 9 and 10 for level 12 survivors is going to hold you back a bit. 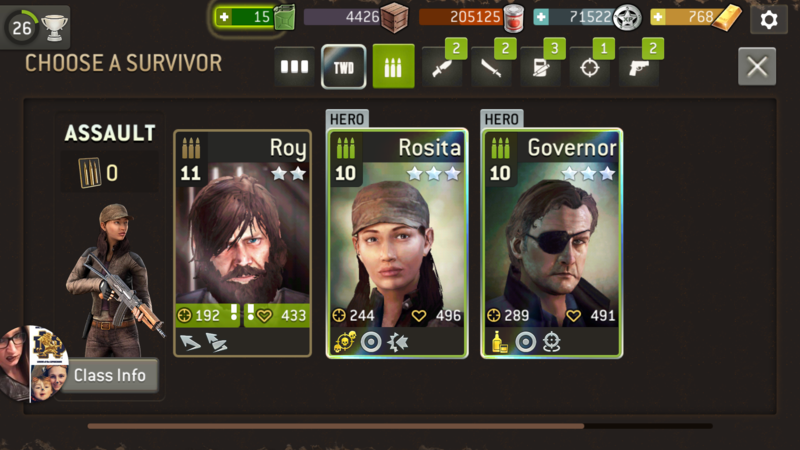 You should work on getting a set of weapons and armour at base level 12, i.e., matching your survivor levels, and upgrade that stuff to 15. 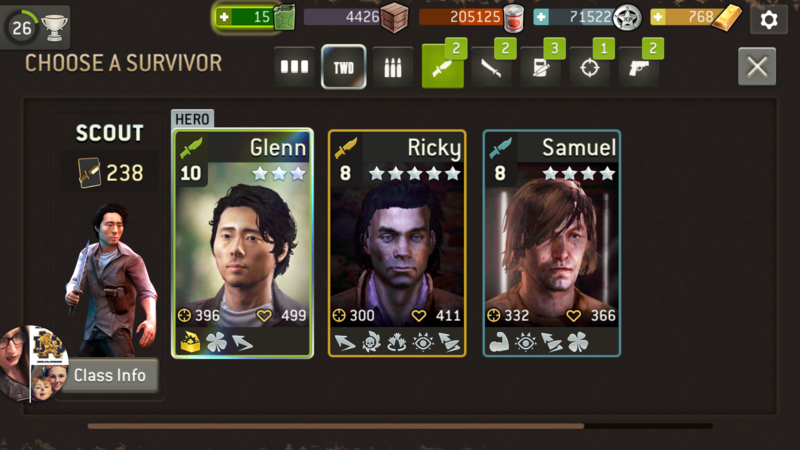 Having gear at levels closer to your survivors will make a big difference. You can hang onto that gear as you get level 13 and then level 14 survivors, and then start upgrading some new gear. Do it in waves like that you should be able to progress steadily. Sorry, misread you. So your survivors are at 10 and it gets tough at 12. Right. My advice is still basically the same. 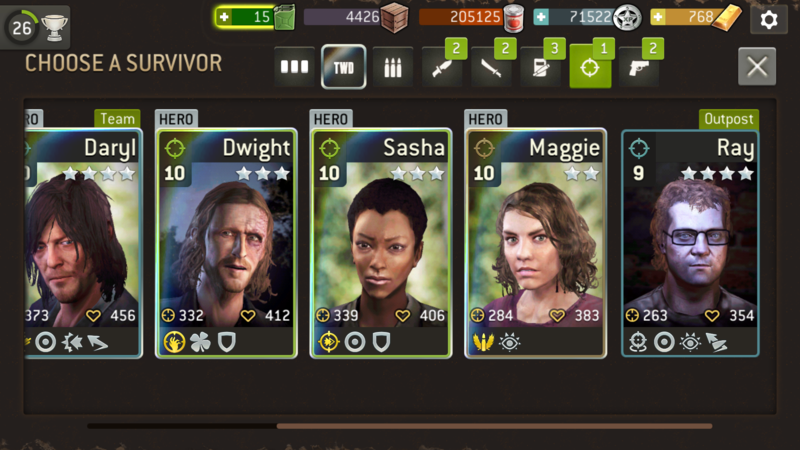 You'll want to get up to level 13 gear for most of your survivors. Then you can hang onto that gear as you progress to level 11 and 12 survivors. Then you can focus on gear again and update everyone's weapons and armour. I think one has level 13 weapon. 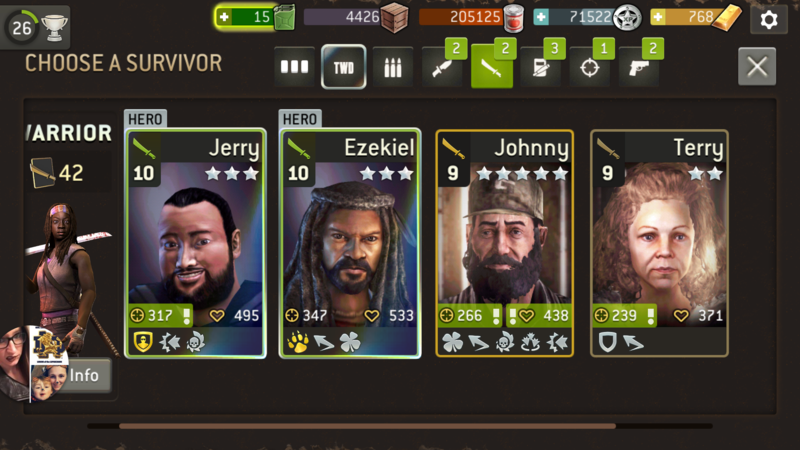 So I need more gear and to keep updating the survivors? 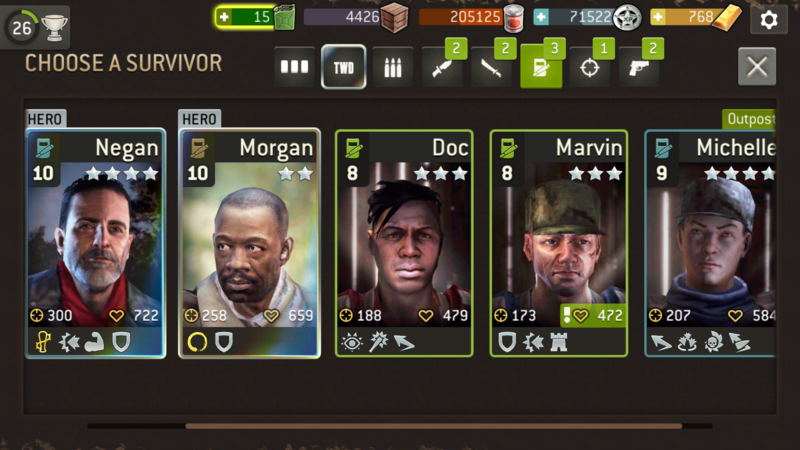 Yeah man, bring your gear up a bit and then you can go back to levelling up survivors. Yeah just play the challenge as you can and then farm supplies/xp to level up. It sounds like your guild requirements are putting a bit of pressure on you though. If you haven't played through the season missions I suggest you prioritise those. They're a great source of gear, supplies, xp and of course radios to use on the 15 call and at only 1 gas cost. If you're struggling to keep up with your guild requirements it sounds like you need to tell them that or switch to a more casual play guild.